Realtor.com has launched a new digital marketing program called Local Expert that will follow prospective home buyers with ads across its search pages and in their Facebook news feeds. The higher visibility through the online ads aim to help keep agents top-of-mind in their local market, realtor.com officials told HousingWire. The ads can be used to promote a real estate agent or individual listings and are served up in search results on realtor.com and its mobile app when a user searches for a certain ZIP code. The same ads then can follow the user to their Facebook news feeds. The ads can be purchased by ZIP code. Here’s an example of how it works: A buyer searches for a ZIP code on realtor.com. They then may see an image of a real estate agent and their contact information, for example, pop up in the listing search results. When that same potential buyer is scanning posts on their Facebook news feed, they could see that same ad appear. If they’re using the realtor.com mobile app, they also might view the same ad. If the buyer clicks on the ad, they’ll be directed to the agent’s personal website or brokerage profile page. 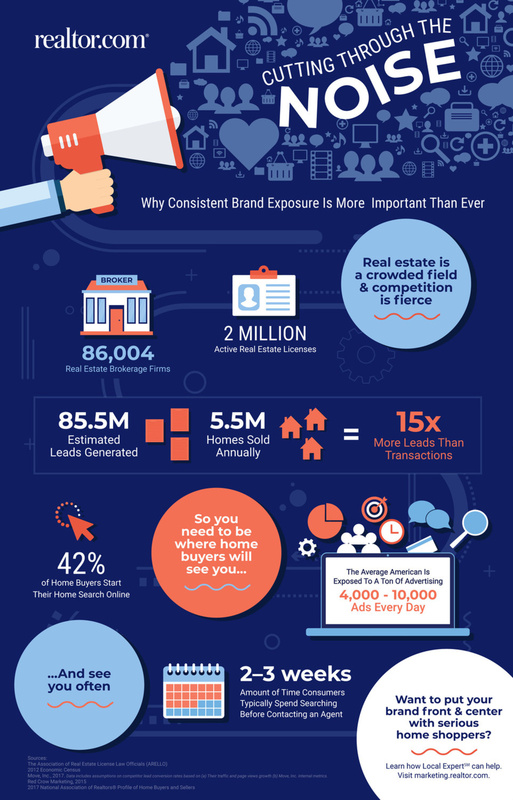 “With targeted, regular exposure on realtor.com and in social media, agents can create trust and stay top-of-mind with the local buyers they’re hoping to meet, and help attract serious home buyers to their listing clients, as well,” says Deepak Thakral, realtor.com’s senior vice president of product management. Local Expert will be made available to real estate professionals starting on Nov. 7. Realtor.com will be spotlighting Local Expert during the Realtor Conference & Expo, which runs through Nov. 5 in Boston.